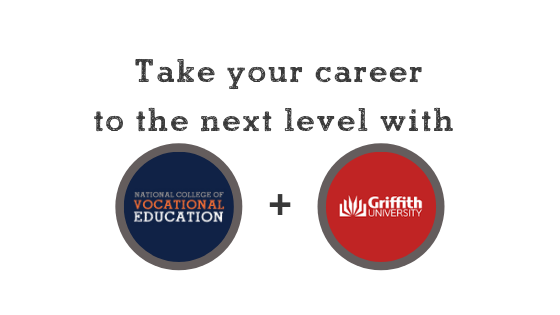 NCVE partners with Griffith University to offer university pathways to students. Home|	Articles – News and Events |NCVE partners with Griffith University to offer university pathways to students. NCVE is pleased to announce that it has partnered with Griffith University in Queensland to provide an articulation pathway for its Diploma of Business and (BSB50215) and Diploma of Leadership and Management (BSB51918) courses. 20CP 1st year Free-choice electives. 20CP second year free choice electives.